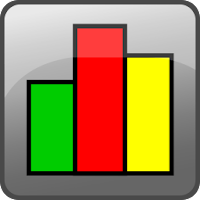 NetWorx is a free bandwidth monitoring and usage reporting tool, that collects bandwidth usage data and measures the speed of your Internet or any other network connection. It can help you identify possible sources of network problems, ensure that you do not exceed the bandwidth limits specified by your ISP, or track down suspicious network activity characteristic of Trojan horses and hacker attacks. NetWorx provides comprehensive and accurate monitoring for all of your network connections or just a specific network connection, such as Wireless or Mobile Broadband. Furthermore, You can set it up to alert you when the network connection is down or when some suspicious activity - such as unusually heavy data flow - occurs. Usage reports, exportable to a variety of file formats. Disclaimer: Direct downloads for the lastest version of NetWorx 6.0.3 are provided by the official software's author, we can't guarantee safety, availability or download speed. Moreover, we don't and we won't provide any pirated/illegal versions or tools. We recommend you to avoid it as these methods can harm your device. If you like the software, buy it to support the developers. (We provide software discounts for many worldwide brands).